Chan was the perfect tour guide. He was not only knowledgeable, communicative and a safe driver but he also possessed the ability to understand us, and with that understanding, fine tuned our tour to exactly fit us. We will be returning to Sri Lanka to join him in a further tour as he has opened our eyes to this beautiful country. Thank you Chan. If you are thinking of visiting Sri Lanka with a tour guide, look no further. Chan is very good at what he does. He is patient, flexible, courteous and most of all, shares his understanding of the culture of the island he calls home clearly. We do not typically travel using a tour guide, but under these circumstances, we feel we made the right choice. Chan took us to numerous locations and shared experiences that would have taken us significant time to find. Chan...thanks for the memories and many laughs! We really enjoyed this tour specially tailored to suit interests of me and my daughter. Good choice of locations, activities and sightseeings. Thanks to Chandana and Kithsiri for great experience created! My husband & I just completed an amazing week with Chan touring Sr Lanka. Could not have asked for a better guide to introduce us to this beautiful country. Great communication up front about our goals for the trip and then complete flexibility along the way when we wanted to modify what we planned. He gave us a perfect mix of local flavor, colonial English and Dutch charm and most of all a deep connection with the Sri Lankan people. It honestly felt like we were with a family friend not a tour guide. We have done many motorcycle tours in different countries but I think this was the one of the best. Our tour guide Chandana prepared a great tour which gave us a great experience in Sri Lanka and we thoroughly enjoyed every minute. It had everything one would want for an adventure holiday. We started in Columbo then rode the route through Sigiriya, Kandy, Ramboda, Wellawaya, Weligama and back to Columbo. At every stop Chan had made a schedule to make sure our trip was unforgettable. Thank you Chan!! I had a full day in Colombo after my weeks surf holiday finished before flying home. Chan organised a one day city tour of Colombo for me to help make the most of the time that I had. I can't recommend Chan's services enough. Chan's itinerary allowed me to see a real flavour of Colombo and his commentary gave me a great insight int not only Colombo but Sri Lanka's history. What an incredible city and a beautiful country! Throughout the day Chan was so hospitable and informative. Thank you Chan! Chan was a fabulous guide - he's a great driver and is passionate about his country. I learned so much en route from Colombo to Galle about the island and about Sri Lankans. He fitted a lot into the day from swimming with turtles to visiting a tea plantation. I cannot recommend this trip highly enough - Chan will make you fall in love with this place....if you aren't already! We spent two weeks with Chan and we found him to be a very personable, knowledgable and a skilled tour guide. His previous experience in Europe enables him to understand western culture and combine this with our Sri Lankan experience. Emphasis was placed on flexibility during the tour and Chan was able to squeeze in everything we wanted plus many unexpected extra adventures adding an insight to Sri Lanka we could never have done alone. Chan has become a friend and we would not hesitate to recommend him. Wonderfull guide, Chan helped us with everything we wanted. We went on a trip with him and it was so much fun. He knew a lot and is a very kind guy, also speaks very good english and some dutch words. Was a lot of fun. No Sri Lanka experience without Chandana! After a bumpy start (guide error about the cruise ship meeting place), our group of six had a very good day with Chan, travelling out of Colombo into the countryside to Galle on the south coast. Chan was fluent in English and shared a lot of information about Sri Lanka, as well as answering our questions. In retrospect, we spent too much time at the tea and spice plantations (where presumably guides receive a kickback for any purchases), and not enough in Galle. Chan was attentive and knowledgeable. Me and my cousin had a great 10 days in Sri Lanka, Chan has been very helpful from the beginning when we planned our trip. With Chan's recommendation we have seen some unique place that not all the tours go and we got to meet his wife and children too, if you are looking for something that is not standard, you find the right guide! He just give us the right amount of space and free time on our own. Highly recommended. This was a custom tour. Everything was followed to my plan. Chan is friendly and personable. I would recommend his services. Chan is a great guide who adapts very easily to changing environment or changing interests. We started the morning by going to a tea plantation, quite nice and small scale find. We went on to Galle for a visit of the fort and went for lunch. after lunch we headed back to Colombo, all in all a good day. Chan gave us a very good tour and I would highly recommend him. Chan created a very safe environment to see Sri Lanka. We only had one week but he showed us the best of Sri Lanka, speaking very good English and with great knowledge of all the areas we visited. He was happy to make and change plans throughout the week to fit in with us. We had a short window of 5hours to explore city and chose 4hour city tour provided by Mr. CHANDANA. He was excellent guide and very friendly. We thank him for making our short visit a pleasant one. Looking forward to our next holidays with longer duration to explore srilanka..
Chan was absolutely fantastic. He was professional, patient and extremely knowledgeable about Sri Lanka's history, culture, agriculture, wildlife and more, and he spoke English very well. Chan showed us many things we could not have seen on our own and he made our trip a memorable one. Chan was very responsive to my numerous emails in advance of the tour to plan the trip to our specifications. Our driver Randji was amazing too. I highly recommend Chan. Feel free to call me in Canada at 514-913-9163. Chan is an excellent guide. He speaks English very well and gets involved to help you buy items at the local rate rather than the tourist rate. He is very knowledgeable regarding Sri Lanka's history and local issues which sets an easy and relaxing time. Thank you Chan, I fully recommend your tour service. Our family of 6 enjoyed the elephant orphanage, even with a long drive to get there. Chan is polite, well informed and knows his city well, we enjoyed our tour with him and recommend him as a guide. The tour was fantastic and Chan was an OUTSTANDING guide and very knowledgeable about the area! He is an excellent driver and I recommend him and the trip highly! Five stars!!!! Chan did a fine job with our half day tour today. Prompt pick-up, nice car with A/C and even made a lunch reservation for us at Ministry of Crab, which we HIGHLY recommend. Chan was absolutely fantastic. He was so concerned about all of us. He had the right amount of talk and history. He showed us the real Sri Lanka. I would highly recommend him to anyone wanting to see more than the traditional tourist sites. Chan was an amazing guide. He is very knowledgeable about Sri Lanka. He was very flexible and kept our interests in mind rather than going solely by the itinerary. His expertise in his profession enabled us to experience many uniques events in the country. He also opened his house to us to provide a mini cooking lesson and a sumptuous feast after! He is very thoughtful; he made it a very memorable holiday for us. I recommend him highly. Guide Chan is very friendly, soft spoken and knowledgeable. He is also very flexible with the itinerary and is prepared to make changes if so requested. He knows his country well and is able to provide information on Sri Lanka as well as the trees, birds and the animals that we see during the Safaris. A great guide. Knowledgeable and passionate about his city and country. Gave us good hotel advice, too. Chand was an excellent guide. We were in Colombo on New Years' Day which was a holiday. A few places were closed; but the day was still great. An excellent tour conducted by a superlative guide. Chandana is intelligent, thoughtful and kind. His comments and commentary provided insight into both contemporary Sri Lanka as well as its rich history. Highly recommended. Chan is a great guide. We enjoyed four days with him visiting various cities in Sri Lanka. Chan is very knowledgeable and was always ready to share interesting information about the places we were visiting or driving through. I recommend Chan without hesitation. Chan was a very pleasant and knowledgeable guide! He kept the group together during deluge after deluge - the weather was not cooperative! Traffic, worse than India, hampered moving from one site to another. His accounting of the island history made us want to visit again and explore the country under more favourable weather conditions! My first visit to Gaulle was very interesting because of my personal tour guide Chandana. It was a long drive, but it was pleasant. Chandana speaks very good English and he explained every aspect of the sights we visited very well. I have enjoyed his customized tours, and had a lot of fun. I definitely would hire him again next time I come visit Sri Lanka. 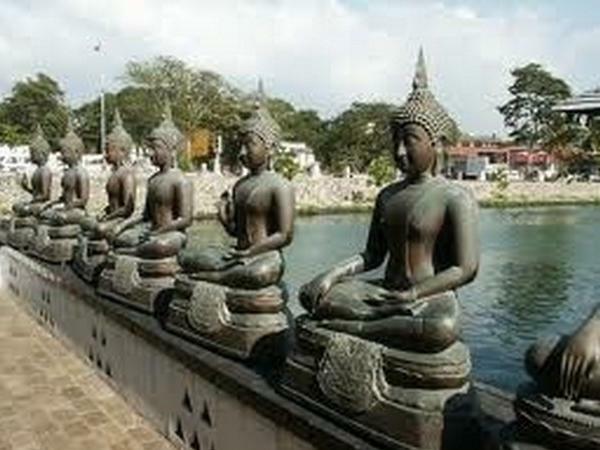 Highly recommended for visitors visiting Sri Lanka looking for a reliable tour guide. Our tour with Chan was everything we had hoped for and more. He gave us the real insiders guide to Sri Lanka we had dreamed of. Once Chan was sure of our wish list and our tolerance levels he set about making everything happen for us above and beyond. Our trip was jam packed with wonderful and surprising experiences from day 1 to day 16. Chan and Padme our driver were at all times professional, thorough and generous with their experience & expertise. We cannot recommend them highly enough. Huge thanks. Chan is the perfect example of why I keep booking with TBL. His tour was excellent. He is a bright, relaxed and caring guide. He takes the time to make sure that you get a true feeling, not only of Colombo, but also for how the people of Sri Lanka view life. He never rushed us, answered numerous questions with endless knowledge and patience, and made sure we saw all the major sites, even though we ran past our end time. Book him, he's great. What an absolutely amazing day. Chan is gracious and very accommodating. We did not expect to encounter the local culture to such a degree and really valued the opportunity to see how life is experienced in Sri Lanka. We met some wonderful people and ate some amazing food. The visit to the Elephant Orphanage was the primary reason for the tour and it really was exceptional however when factored in to the whole day our expectations were far surpassed. It was a long drive to the elephant orphanage and Chan made it enjoyable and really interesting. I have some difficulty walking and Chan was there consistently to offer an arm or a hand. GREAT day. I have been more than impressed by the excellent planning and detailed explanation and information by my tour guide Mr Chandana in Galle. Chan did his good job to show me that Galle is an excellent place with endless beaches, timeless heritages, famous seafood, garden of the word.....and welcoming people. I would recommend tourists who are interested in cultural and heritage to use his service. Chandana is a terrific guide and my family had a lot of fun on their trip to the elephant orphanage. And once again, the phrase "It's a small world" became the truth....Chandana used to work about 5 miles from where my mother lives in NJ! The ride to the elephant orphanage is a long one, but he made 2 stops on the way there....one to buy red coconuts so they could try them, and the other to sample some local foods. It was a great day! We enjoyed our tour of the city. Despite being almost two hours late picking us up, Chan provided a very nice tour. The late start was due to Chan not obtaining the permit to enter the port. We could have still met at the appointed time outside the port gate (a short walk), if Chan had planed better. He was very apologetic. Despite the rocky start, the day was thoroughly enjoyable, and Chan was a wonderful guide. TOUR GUIDE RESPONSE: Dear sir Thank you so much . TOURSBYLOCALS RESPONSE: We are sorry about the delay and we will work with Chandana to make sure this does not happen again. A partial refund was issued. Chan successfully helped us complete a highly customized business trip in Sri Lanka. Chan is one of the best tour guides you could have expected. He is very sensitive to customers' needs and knows exactly what we wanted. I also appreciate Chan's gentle manner, abundant knowledge and considerate thinking. Thank you Chan, for giving us a wonderful and memorable trip. We were very happy with Prabath on both days. He was flexible and informative. His English needs improving but this did not take away from our enjoyment of both tours. Chandana was flexible and informative and enthusiastic about showing us his country. We learned a lot. My advice, if you are planning on travelling this way, is to have a good idea about what you want to see, how long you want to spend in each place, because Chan can make your plans work. Also be specific about your expectations when it comes to accommodation, like if you want something close to shops, or with a/c or hot water, you will need to make it clear. We enjoyed our trip. TOUR GUIDE RESPONSE: Thank you so much , I am very happy hear this . Chandana, thanks a million for making this trip so amazing!!! Sri Lanka is not a very well developed traveling place, but this is where the attractiveness is. Our tour guide made the travelling easy and smooth. We went to almost all the famous places but avoided tourists crowds at the same time. We chose a challenging trip, by motor bike, and covering extreme activity spots, fa most of which are hidden in the deep forests and mountains. Without a local tour guide it is almost impossible to reach to! My husband and I had an amazing and unforgettable vacation in Sri Lanka!! Chan is the first guide we have hired after visiting many countries independently. He was so knowledgable and open to show us what Sri Lanka is all about. He introduced us to new foods, beautiful beaches, and locals with character as well as his fellow village friends and family. He navigated unknown roads perfectly and we even let him book our safari for Yala Natl Park and managed to see 3 leopards along with many other animals. I went to Sri Lanka on a whim. During my 6 days in Sri Lanka, I must say that I couldn't have asked for a better tour guide than Chan. Sites visited included the Pinnawala Elephant Orphanage, Bluefield Tea Gardens and Nuwara Eliya, the city of Kandy, Galle, and quite a few other places. I left my hotel reservations up to Chan and he did not disappoint, all places had spectacular views and the essentials of what I would need... I'm excited to go back soon! Chan is an excellent guide, a good English speaker, accommodating, cheerful, knowledgeable, very flexible. We spend a wonderful 11 days with him in Sri Lanka. We can recommend him to all and everyone. We proposed to him what we wanted to see and asked his opinion whether this would be possible in the time available to us. We'd like to thank Chan for the many new and interesting things he showed us in Sri Lanka. TOURSBYLOCALS RESPONSE: A longer, glowing review was emailed to the guide, but we didn't have space to publish it in its entirety. Well done, Chandana! Chandana was unable to take us on the tour due to an unexpected personal last minute commitment. He arranged for Prabath to be our guide. Prabath was friendly and very knowledgeable and proved to be an excellent guide. Sri Lanka was the "surprise" port for us on our cruise and surpassed all of our expectations. Thank you Chandana for your great communication and we all enjoyed the special goodies at the end of the tour. Chandana was kind, attentive and very helpful while I was touring with him. He listened to what I liked to do and customized the tours to fit me perfectly. He had a great attention to detail and made me feel safe. He also told great personal stories about Sri Lanka that were so helpful to me since this was my first time in Sri Lanka. I would very highly recommend Chandana to anyone looking for a most memorable tour of Sri Lanka. Our day out in the hill country with Chandana was amazing. He took great care in accommodating our interests and needs, and introduced us to a wondrous variety of sights and tastes. He was also very knowledgeable about Sri Lankan history and current affairs, so we learned a lot while we had fun. Thank you! What a wonderful holiday I had with Chandana - in every respect it exceeded my expectations and I would recommend Chandana to anyone wishing to have a great holiday in Sri Lanka. Nothing was a problem to Chandana and he was very flexible to my sightseeing wishes. He was also very helpful with the planning stage of my 12 day tour. Chandana was quite good, but not "excellent," which I consider near perfect. He explained a lot of what we saw and about the culture, but he didn't go into the detail a truly excellent guide would. He bought us pineapple and other fruit. The restaurant stops were excellent but took too long. We ran out of time and didn't see everything we were supposed to. Stop at gem factory was a rip off. Would have preferred to go to botanical garden. Stop trying to sell us stuff. Chandanda was VERY accommodating and flexible during the tour, especially to our children (ages 8, 6, 4, and 18 months). He has extensive knowledge of the areas we visited, which included Udawalawe National Park, Nuwaraeliya, Kandy, and Pinnawela. He even went "the extra mile" and organized a special (and unexpected) day for the children which consisted of a train ride, playing/snorkeling at Matara beach, a visit to a "snake house", fishing with bamboo rods, and a meal in his home village. He's great! This was an excellent tour, changed at the last minute to see more of Sri Lanka. A wonderful day and we were able to see some of the real country in a very personal way. Chan was a great guide and couldn't do enough for us - from welcoming us with lotus flowers to the end of the day. He was very knowledgeable and we found out an amazing amount about life in Sri Lanka. It was very well planned and exceeded our expectations - which were very high! Many thanks for a very special day! Disappointing tour guide and itinerary. The itinerary may have been a communications problem. Chandana was not our guide. He may have been ok.
TOURSBYLOCALS RESPONSE: We're sorry to hear that this tour was less than satisfactory. We've clarified our policy about substitutions with Chandana and offered a partial refund to Mr. Ekedahl as compensation. Thank you Chandana for making us discover your country, though I know that we have only visited Colombo. The tour was most enchanting, especially the temple dedicated to Buddha. Chandana is also a very humane person, and we have appreciated his life philosophy and his knowledge. This was a lovely tour. Chanda is very knowledgeable and passionate about the tour highlights and his country. Chanda made this my tour based upon my feedback of what I wanted to see. He took his time and answered a million questions. As for the driver, I can't say enough!!! He is fabulous. I highly recommend this tour to anyone. This is more than a tour but also a history and cultural experience. chandan is very cooperative and nice . enjoyed the short time available on city tour. will recommend to friends. Chan is a knowledgeable and very sincere guide.He treats us like a family and ensure we get the best experience out of what we are paying. The places we visited are great in itself and Chan had work to make sure that the trip pleasant and smooth throughout. Thank you once again! I would definitely give 5 stars for my tour in Colombo Sri Lanka. Chananda treated us like good friends who were visiting his country. He was so knowledgeable, so kind and so helpful. I have taken many tours as I have travelled around the world and this tour was one of the best. Chananada made me see and understand his country and Iook forward to returning. Chandana was a very good guide. 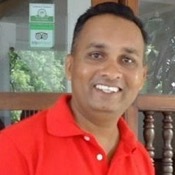 He has profound knowledge of Colombo, is helpful and adjusted the tour to our needs. For example, he took us to to see the house of a family in Colombo, as we had requested the tour to be focused on local customs. On time of the tour, pick up and drop of location he was very flexible. Chandana was the epitome of what I perceive a Buddhist to be: calm, polite, and helpful. He was also knowledgeable and gave us a good tour. Chandana was very flexible, provided interesting information during the tour and nothing was too much trouble.